Lately, I've been on a clothing deals mission. My closet is becoming quite full with my new trendy clothing. 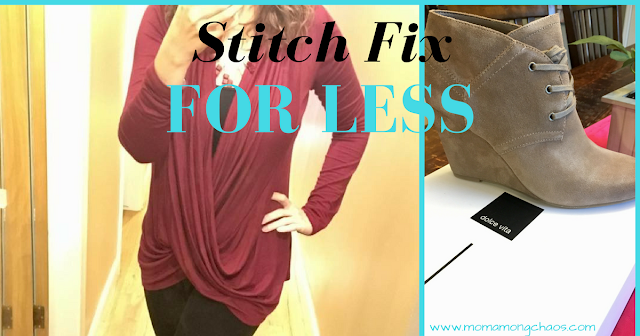 I'm a fan of Stitch Fix for Less, and I also have a group called Clothing Deals Online in which I find brands similar to Stitch Fix but at a fabulous price. So, I'm bringing you some of my favorite finds! The top pictured above is Viosi Solid Criss Cross Cardigan. I own it in charcoal and wine. I even had my family pictures taken in it. My oldest daughter wore the gray one. These tops are super light weight and comfy. I have on a small, but I wish I had purchased a medium so it would cover my booty a bit more. Right now, you can pick it up for $18.99. The list price is $50. 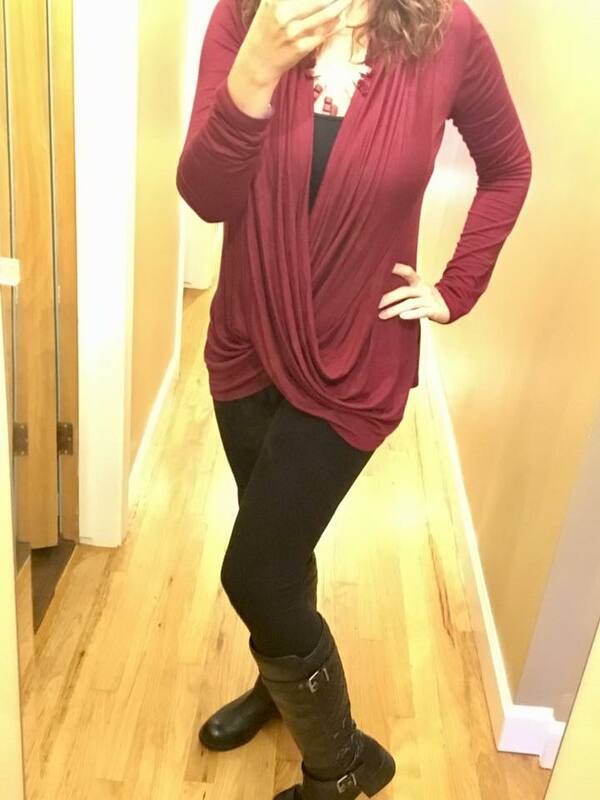 Stitch Fix sells similar tops like this starting at $50. I think I need one in every color! Leo & Nicole is a brand that Stitch Fix sells. I found this Pointelle Cardigan on Amazon for $20. It's pretty heavy weight wise. So, if you're looking for a lightweight cardigan, this is not for you. It fits true to size. It's stunning and can be dressed up or down. I have been drooling over the TOMS Desert Wedge boots for months. They typically run about $100. I couldn't see myself spending that kind of money on a pair of shoes. A few weeks ago, I caught these Dolce Vita Women's Ankle Boots at $25 bucks. Score! 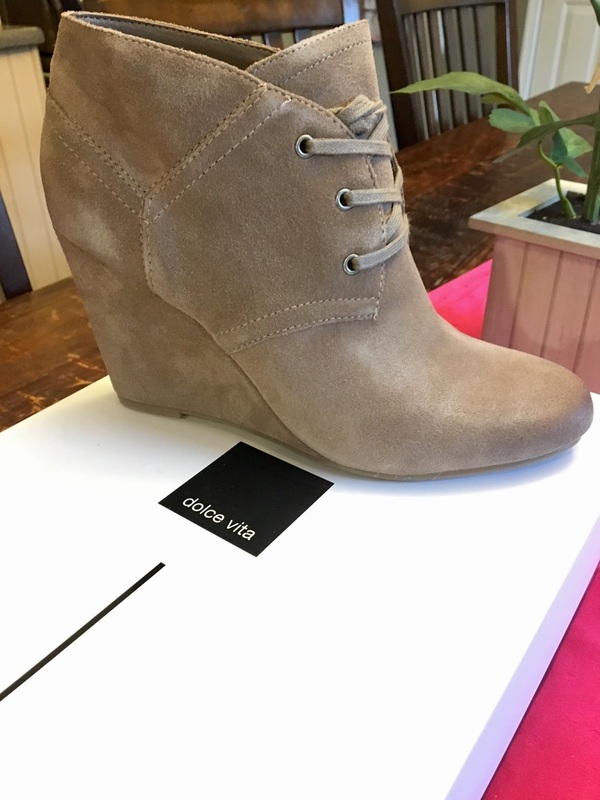 If you haven't tried Dolce Vita shoes, you're missing out. Right now on Amazon, these shoes are back over $50. Keep your eyes open for a deal! I never was a legging girl until I met LuLaRoe. I found the leggings to be pricey and impossible to get the color that I wanted. A few months ago, I discovered Viv leggings. They're just as soft as LuLaRoe, and I find them a tad bit longer. I fell in love with these pants and now own five pairs. My teenager has hijacked two pairs from me. These are perfect for when you're having one of those days where you need to feel comfortable. The only problem I've discovered is when you hold them up to a lamp I can see the sewing holes. I've had them two months and everything has been fine. You can't beat the price of $11.99. I hope you enjoy the deals I've found this month! Head on over to Clothing Deals Online to join my deal group. Below, you will find more Stitch Fix for less!